And I can handle a strong mountain drink. I’ve sampled moonshine freshly bought off an unmarked tree stump, deep in the woods. No I didn’t buy it, but I tasted it. And it was crazy strong. And sometimes you can get fruit flavored too. But now I’m all off track. The point is, a stiff drink never hurt anybody and vodka is about as close as you’re gonna get to moonshine in these here parts. So, I give you a blueberry infused vodka lemonade drink that will cool you off and put some hair on your chest. Drink it any way you like, but the preferred method is from a mason jar while sitting in a rocking chair on the front porch and sweating through your blouse. A paper fan is optional, but time is not. You’ll need at least 12 hours for this southern comfort. Directions: Put the fresh blueberries in the bottom of a mason jar. Pour it over the berries, filling the mason jar. Use a fork to mash up the berries in the bottom. Put on the lid and store in the fridge for at least 12 hours to allow the blueberries to infuse into the vodka. The vodka will turn cloudy right away, and will become purplish the longer it infuses. Once the 12 hours (or 24, or 36) are up, strain the vodka. Save those liquor-soaked berries for garnish! We don’t want perfectly good fruit going to waste. In a small bowl, thaw out the frozen berries and mix with sugar. In a fresh mason jar (or serving glass of your choice), pour in the sugared berries (divided between two jars) and add a bunch of ice. Pour in one part blueberry vodka and two parts lemonade. Give it a good stir. Add a few of the vodka-soaked blueberries and a slice of lemon for garnish. Ahhh, that’ll do the trick! Hi there everyone, it’s my first go to see at this website, and article is truly fruitful for me, keep up posting such articles. Hmm it appears like your site ate my first comment (it was extremely long) so I guess I’ll just sum it up what I wrote and say, I’m thoroughly enjoying your blog. I as well am an aspiring blog blogger but I’m still new to the whole thing. Do you have any tips and hints for rookie blog writers? I’d certainly appreciate it. pour arrangements to a vos premieres. im super excited i wat to make this for our engagement party…i bought a 2 gallon mason jar drinks dispenser….how do make this recipe for 2 gallons??? Its really up to you. I used 3 pints of blueberries for 1.75 of vodka. Courtney, I’m so glad to hear you are trying this out for your engagement party. For such a large batch, you’ll need to use several pints of blueberries (fresh and frozen) and maybe 2 -3 cups of sugar. Keep the lemonade/vodka ratio the same as you would in the individual serving, unless you want a stronger drink for your guests. You’ll have to do a bit of guessing and experimentation. I hope it turns out great! I LOVE this recipe! I’ve done 3 batches so far this summer for different get togethers. It is a can’t miss!!! Wonderful! So glad you like! I am soo trying this for my next party! The mason jar looks like a 16oz/pint jar and u can get 12 at Walmart for $9 or online…for the person below! Can’t wait to try! Love this! Mouth is watering as I type…is it 5:00 yet? Lol Thanks for the recipe. Can’t wait to try it! What size mason jar is that, and i never know where to buy a set of empty ones. btw great recipe, love the color of this drink, can’t wait to try. mmmm…now I know what to do with those blueberries I bought! As I’m writing this, I have a bottle sitting in the fridge, infusing with blackberries (since I didn’t have any blueberries handy). I am SO excited to try this! Vodka is by far my favorite liquor and, where I am, the hot days demand a cool drink. Thanks for the recipe! Oh, my, heavens! I’m so on this recipe! Wow. We all need to keep in touch with our inner hillbilly don’t we? Uh yeah, this is my road to hillbillyville. Lovely. Wow, oh how this is going to be a very dangerous yet yummy drink. Love it! Im also from E. Tn. and I cant wait to try this we have friends that just moved from CA I think Ill share a little southern hospitality with them! I steep fresh pineapples for a few days covered with vodka….its sooooo good….serve in a matrini glass and garnish with a slice of pineapple. Great idea for a spring or summer wedding! Hope you guests love it. Good call on more lemonade, less vodka. Enjoy! 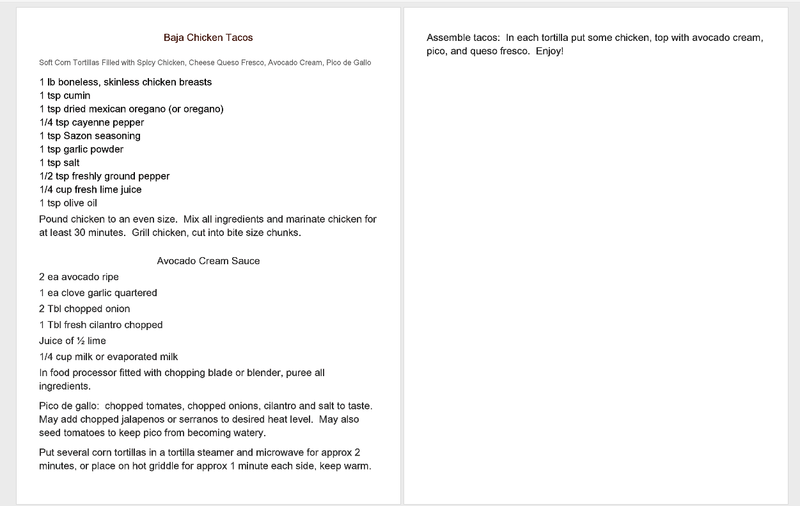 Made this last night with a baja chicken taco recipe my mom gave me which I uploaded here if anyone is interested. It was all fantastic! Will be making this for the Super Bowl. Can you tell me what kind of Lemonade you used and if you add sugar to the lemonade? I noticed that there was sugar at the bottom of the drink. I used an organic, pre-sweetened lemonade. Add a little sugar to the vodka soaked berries before serving to your guests. You are hilarious, loved your colorful remarks!!! This drink sounds delish, thanks for sharing!! I promise it’s unintentional. Glad you liked the post! could you use any other kinds of fruit in place of the blueberries? raspberries or strawberries maybe? Sure! Any fruit should work. Enjoy! Haha! It’s roughly 2 cups but it all depends on the size of the mason jar you choose. How I loved all the redneck references! My love of vodka will def not be missing out on this! Also, think you that I could use crystal lite lemondae for my calorie conscious self? Glad you enjoyed it! Any light lemonade would work just fine. This looks fantastic! I will definitely have to try it. Hopefully you guys can come over for some cocktails soon!! We will put this on the menu. So do you put it in the fridge or freezer for 12 hours? Either should work, since it’s vodka. I just stuck it in the fridge so I wouldn’t forget. Thank you, Kelly! Welcome to my blog! i love infusing vodka! have you tried plum-ginger? it’s awesome too. This drink looks amazing! I may have to try it this weekend!! 15 Last-Minute Infused Alcohols To Show Someone You Really Care – The Food Lovers! !